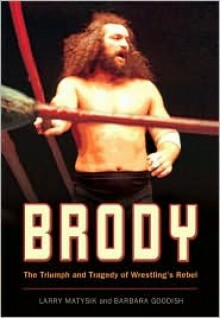 Written by his best friend and widow, this compelling biography of international wrestling superstar “Bruiser” Brody provides an unparalleled look at his life and death. At 6’5” and a muscular 320 pounds, Brody was a giant in the ring who evoked fear in his opponents and respect from the wrestling community. In the geographical segregated wrestling world of the 1970s and 1980s, where each area had its own stars, Brody’s intensity made him one of the few recognized as celebrities across the country. Featuring candid discussions about the nature of wrestling during Brody’s heyday as well as a frank description of his horrific murder and its aftermath, this revealing account illustrates why Brody continues to be one of the most beloved figures in wrestling.